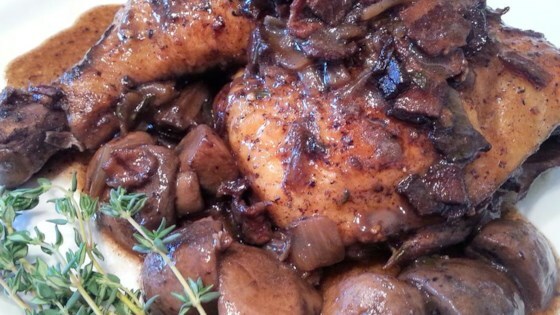 A classic braised chicken dish with bacon, mushrooms, and red wine. Edible...nothing special to write home about considering all the work you had to put into this dish with frying the chicken beforehand, etc. Greasy & uninteresting flavor. Amazing, and well worth a little extra effort in the kitchen. A+ recipe for the aspiring home chef.